A Custom Vehicle Wrap Design will Set You Apart from the Skinners Crowd! Custom Wrap Designs are an excellent full color alternative to a paying the high cost of a New Auto Paint Job. Plus, besides adding protection to the Stock Paint, Auto Wraps can also easily be removed without harming the underlying original paint job. Another reason for getting your Car Wrapped, is Custom Advertising Graphic Design Wraps are perfect for Small Businesses to Advertise themselves Everywhere they Go! Advertising Wraps last for years and can easily pay for itself in a few months in New Customer Business! Custom Graphic Wrap Designs can add Unique and Amazing Style to Any Vehicle. Custom Vehicle Wraps can be anything from Racing Stripes and Flames to a Full Color Change! With Premier Auto Tint's Custom Wrap Design and Installation Services, you are only limited to Your Imagination to Make Your Vehicle Stand Out Like No Other in Skinners, CA! Because Custom Vehicle Wrap Designs are very Custom; we will need to schedule an appointment to go over Your Ideas and Specific Design Options. A paint job can range from $2,000-$10,000+ depending on the quality and color choice. A vehicle wrap can cost $500-$5000+ depending on the material and extent of the project and will have a life expectancy of 5-8 years, vinyl depending. For a fraction of the cost of paint, one can choose to wrap their vehicle for as long or little as they want. Along with this much cheaper price tag, comes several benefits that paint cannot offer. With all the incredible colors to choose from, you are sure to find the color change vehicle wrap that's just right for you. These wraps provide all the sparkling color of a quality paint job without the time and expense. Paint quality can vary especially whilst looking for a cheaper price. Cheaper paints will look great at first, but within a few years will begin to look awful and need to be redone. Professionally installed vehicle wraps will leave your Skinners vehicle with a breathtaking finish for years to be admired. Being able to maintain the Manufacturer's original paint will keep the resale value intact from a devalued exotic color. If your preference is, for example, a bright exotic color, it may not be your potential buyers favorite color. Having the option to keep your vehicle's original factory color will allow you to keep your resale value intact. Every covered inch of your vehicle in vinyl is protecting your factory paint from all natural hazards and weathering, and not be affected by prolonged sun exposure. Vehicle wrap vinyl is a very durable material and will act as a shield. Say goodbye to stone chips, abrasion, and other natural hazards! A car wrap does more than improve your vehicle’s appearance; it can protect paint from minor scratches, swirl marks, rain and pollutants. A auto wrap isn’t as effective as a clear bra paint protection film, but they are better than leaving your car’s paint exposed to the elements. When choosing to paint your vehicle you are allowing yourself to be without transportation for up to two weeks or longer. When it comes to wrapping a vehicle, we can have your car fully transformed within 2-5 days ready to be picked back up. Don’t leave yourself stranded, Wrap It! High Quality Vinyl Wraps ensures a long lasting product that can also be safely removed. A car wrap’s life is highly affected by how long it is left outside in the sun causing it to fade quicker. Keeping your Skinners vehicle in the garage will allow you to maximize your wraps life to the fullest extent. The vehicle wrap may be removed safely between the 5-8 year period and will NOT affect your current paint. Why Choose a Custom Wrap Design instead of Painting Your Auto in Skinners? First let’s take a look at the differences between Commercial Advertising Wraps and Full Color Change or Decal Design Wraps. Commercial Advertising Wrap customers need their wraps to advertise their products and services. They are understand that they are paying for the Graphic Design of the Wrap in addition to the Installation Labor involved Professionally Wrapping most of or the entire vehicle. Decal Graphic Design Wrap customers are typically satisfied if their Decal, Strips, Flames, etc. is clearly displayed and looks good on their vehicle, they get the service life out of the product they were promised and the application is done proficiently and in a timely manner; usually in that order. They want their vehicle to look good, be unique and get it done fast for the money they are spending. Full Color Change Wrap customers are very different. They are satisfied only if the Wrap Application is "Paint Perfect"! Color Change Auto Wraps are something your customer wants instead of expensive and time consuming Auto Repainting. 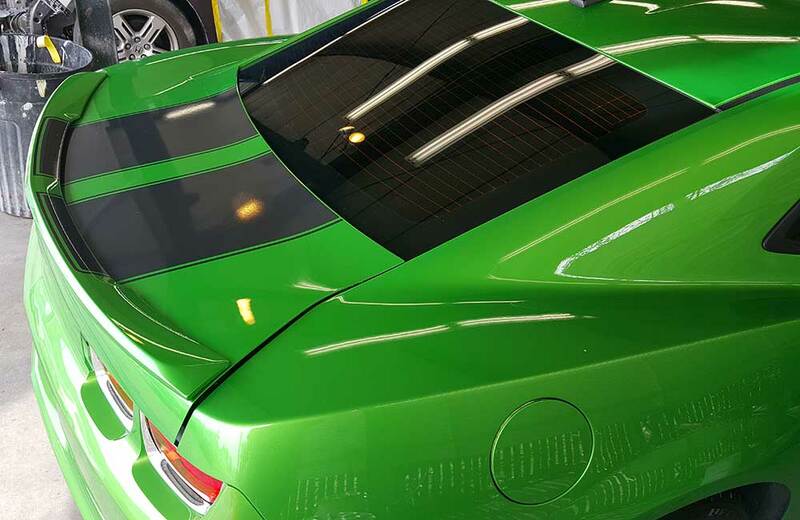 Typically, a Full Color Change Wrap will take three days, yet most of these customers are not as concerned with the service life, as they are with how Awesome it Looks and that they can change the color of their vehicles frequently, if they want. Countless Wrap Design Options: Upon purchasing your vehicle, you may have wanted something different, or possibly a color that is not available in the Manufacturer's Factory Paint Offering. This is where Vinyl Wraps will allow Your Imagination Run Wild! With hundreds of color choices and digitally printed custom designs, you may transform your vehicle to the way you have always wanted it. You will be able to stand out from all of the others and have a truly one of a kind vehicle. High Gloss Vinyl Wrap Colors have a built-in protective clear coat layer to simulate the appearance of factory applied paint. These Full Vehicle Wrap Colors are sure to provide your car with a brand new appearance that will last. Make your car look factory new once again without diminishing the factory OEM paint job value. Matte/Satin Vinyl Wrap Finishes –Matte and Satin Vinyl has a dull/semi gloss finish that doesn’t shine or sparkle. These Vinyl Wrap Films are perfect to accentuate your vehicle without having an overly glossy look. 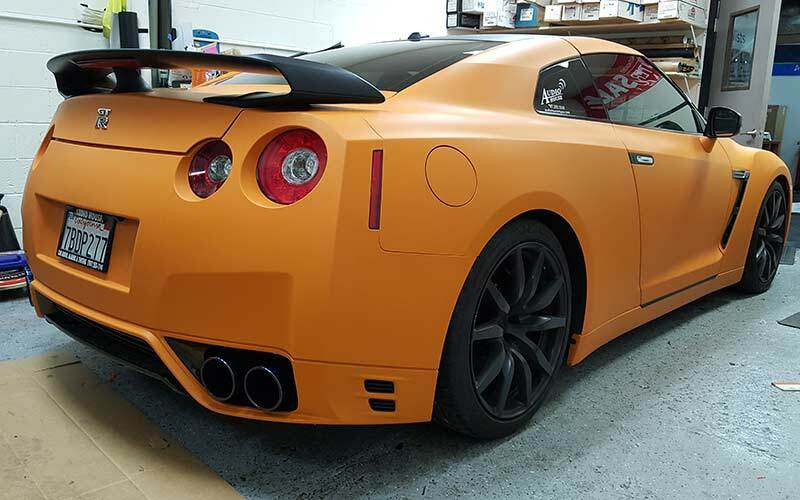 Matte or Satin Wraps transform a vehicle’s surface from ordinary to exceptional and promise to turn heads on the road in La Cresta Village or at a car show or race competition. Matte Wrap Colors include royal purple, red, military green, blue metallic, apple green metallic and other vibrant hues, perfect for Sport Cars. Satin wraps in pearl, black, white, silver and pink add an extra touch of class to any Luxury Cars or a sleek new look for less expensive vehicles to look expensive. Matte and Satin Wraps are becoming one of the most upcoming finishes due to their simplicity and uniqueness. If, after a few years, you are looking for change once again, just have us remove it and choose a new color! Transform your vehicle every few years and keep everyone guessing! 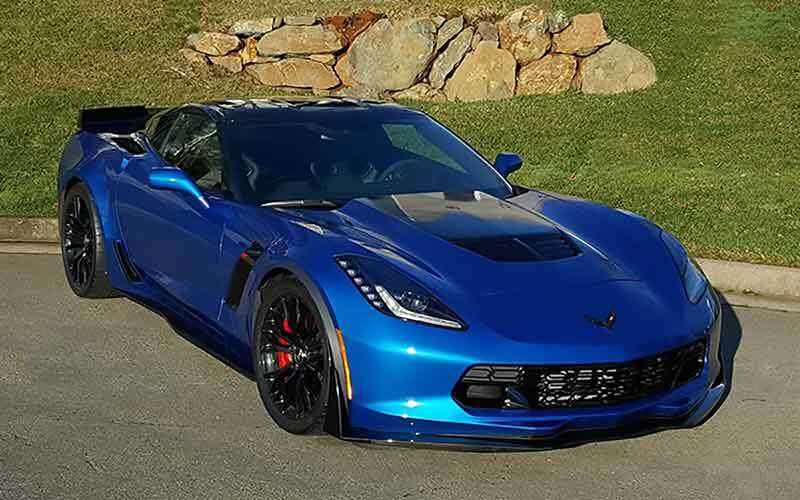 Specialty Auto Wraps Have Designs and Finishes that Paint Just Can’t Replicate like: Authentic Carbon Fiber, Brushed Steels, Chameleon, and Chrome Finishes. Premier Auto Tint provides “Premium Vinyl Vehicle Wrap & Design Services”. Other services may sell the same products and advertise similar services, and you may even pay a little less for their services. Yet, the lower value received in the small initial savings in their service costs will not become apparent until a few years down the road. This is when the, cheaper services, will have you going back to them because their film is pealing, bubbled, faded, cracked or worse. Understanding that the Return on Investment (ROI) in choosing the initially smaller Service Costs is eliminated instantly by "Return" or "Warranty Work", additional Labor and the value of Your Time to resolve such issues. When you want “Premium Auto Wrap Services” and real value in your dollars spent, you want Premier Auto Tint Services. 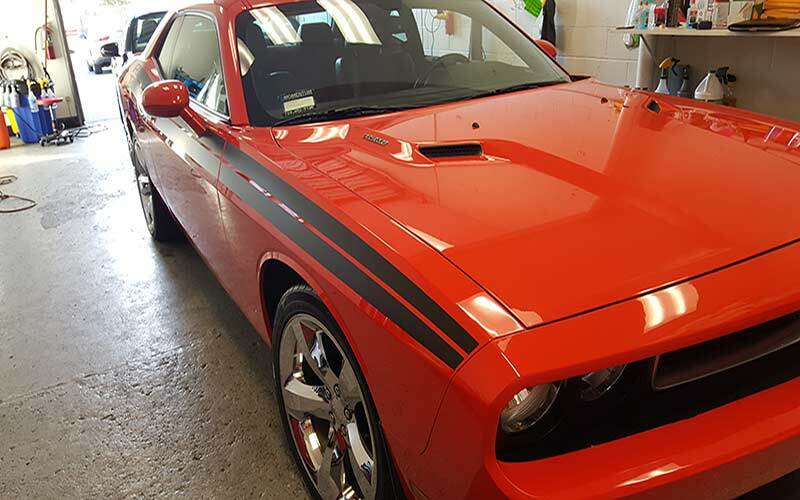 When Quality Products, Craftsmanship and Award Winning Experience are the criteria for selecting your Auto Wrap Services; you'll find Premier Auto Tint at the Top of Your Custom Vehicle Wrap Design Services List. Only Choose the Best, Choose Premier Auto Tint, Skinners, CA. When Quality Products, Craftsmanship and Award Winning Experience are the criteria you are using to select the Custom Auto Wrap Designs & Full Color Wrap Services for your vehicle; you will find Premier Auto Tint at the Top of Your Vehicle Wrap Services List. Only Choose the Best, Choose Premier Auto Tint, Skinners, CA 95682. Custom Graphic Auto Wrap Designs for Advertising or to Show-Off Your Car!